LINGERING problems caused by abandoned housing projects have given rise to calls for developers to adopt a more equitable property delivery system that has built-in features to protect the interest of buyers, particularly from falling victims to abandoned projects. Abandoned projects result in much grief for the affected buyers and their families as they have to continue servicing their bank loans despite not getting delivery of the property they have bought. The dissatisfaction over the current sell-then-build system (STB) has led consumer groups such as the National House Buyers Association (HBA) to propose a hybrid version of the build-then-sell system (BTS), or the 10:90 BTS. There are also calls for a trust fund, similar to the practice in Australia, to safeguard buyers' interest. Under the Australian trust fund system, 10% is paid into a trust fund or a lawyer who holds it in trust for the purchaser. Upon completion of the property, the buyer will apply for a bank loan for the balance amount (the banks generally provide up to 70% financing). Industry observers say this system ties up a lot of cashflow and could be a reason that property development projects in Australia are generally carried out on a smaller scale. The push for more sweeping changes in the local property delivery system to better protect buyers is due to prevailing weaknesses in the STB which include higher risks to buyers when they fall victim to abandoned projects. It is debatable as to what would entail a more equitable system, but at the end of the day it has to promote a stronger foundation for the local property industry and one that benefits all stakeholders. Real Estate and Housing Developers' Association (Rehda) president Datuk Seri Michael Yam says the STB has proven to be the best system for a developing market like Malaysia and it is unfair to blame the system as the root cause of project failures and poor housing quality. Yam believes stringent monitoring of ongoing projects and enforcement of the existing Housing Development (Control and Licensing) Act against errant developers would be a more effective method to curtail the incidences of abandoned projects as well as addressing the issue of low quality products. He says Rehda has always strongly supported heavy penalties to be imposed on irresponsible developers. “In fact some of the causes of abandonment were by unlicensed developers and fraudulent businessmen who should not be in this industry in the first place. Those who are venturing into the housing development business should be equipped with proper knowledge and trainings undertaken either by the Housing Ministry or Rehda so that they are better informed of their role as a responsible developer,” he points out. The HBA had for years advocated phasing out STB on the basis that it is unfair to use housebuyers' money to fund project construction costs. It had proposed the 10:90 BTS where house buyers make a 10% downpayment when the sales and purchase (S&P) agreement is signed, and the remaining 90% will only be paid upon delivery of the property. The BTS, which is supposed to replace the STB system, is said to be a fool-proof system to protect the rights of property buyers from project abandonment. HBA secretary-general Chang Kim Loong says that as of last December, data from the Housing Ministry shows that 9% of housing projects are classified as either delayed, problematic or abandoned. He concedes that the root of the problem lies with the current STB system. Under STB, buyers pay a 10% deposit of the property price upon signing of the S&P agreement and take up a bank loan to pay for the balance sum. Developers will be allowed to draw down the loan progressively based on the progress of construction work of the property in question. “With the STB, the cost of financing the property's construction is largely borne by the buyers. On top of that, they have to face the risks of project delays or abandonment,” Chang says. He says that by making developers assume the role of a borrower to finance their projects (under the 10:90 BTS), they will be more vigilant and responsible to build good quality products and ensure timely (if not earlier) delivery of projects to save on interest costs. “Instead of making the buyer take up the responsibility as the loan borrower to finance the project construction, the developer should be responsible for it,” he points out. Only upon completion and delivery of the property with certificate of fitness to the buyer will the developer be able to collect the balance 90%. Chang says this will weed out unethical individuals so only the responsible and good ones will remain as developers. “Without having house buyers' money to fall back on, the 10:90 BTS will encourage industry players to manage their cashflow more effectively, and banks will be more cautious and undertake the due diligence on ascertaining project completion before disbursement of buyer's loan to developers,” he says. It will ensure only credible developers with their own financing capability will remain in business. It has been five years since the Government put on trial the BTS and offered a host of incentives to developers to adopt the scheme. Despite that, the BTS has not taken off the ground and property projects are still mostly sold off the plan today. They are also worried that buyers who only have to put down 10% for the purchase may decide to walk out of the contract and leave the developer with unsold units. The much higher financial exposure by developers will inevitably lead to higher cost of the completed project and this will have to be transferred to the buyers. Yam says financing from banks is the major hindrance for developers to undertake BTS as banks would lay down the conditions of achieving a pre-sale of at least 65%, lock in the construction contract and a director's guarantee before lending. Moreover, Bank Negara has set a cap of only a certain percentage of a bank's lending to property development. 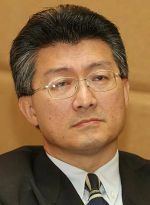 “Therefore, Bank Negara's lending guidelines would need to be amended not only to increase the lending percentage, but Bank Negara must also ensure that all banks and financial institutions must commit to finance projects to completion (availability of project financing) along with all the supporting frameworks in place,” Yam adds. He says BTS is a raw deal for developers as they are obliged to honour the sale from the locked-in price of the initial 10% deposit. Buyers, on the other hand, might just forfeit the 10%, leaving developers in the lurch. “It would be difficult for developers to undertake a development without certainty that the sold and completed homes will be taken up,” he says. As for the proposed trust fund, Yam says money in trust fund or held back in any way will starve developers of much-needed cash flow. “There is no point putting in a trust fund which presumably the developer will use it as security against loan for construction wherein the interest rate payable is around 7%-8% while the amount in trust fund, even if its interest can be allowed to offset, is only earning 2.6%,” he says. Gevanantham Marimuthu (Geva) has been waiting for over a decade to move into his Lembah Beringin home he bought in the late 1990s, 50km from Kuala Lumpur. Today, Geva, alongside some 2,000 others in that area, have not moved into their dream homes because the project has been abandoned. Geva started paying his mortgage in 1998. He stopped in 2006. Geva is also the chairman of the Lembah Beringin House Buyer's Association, a group comprising the victims of that project. He is currently living at rented premises. The project's developer was a subsidiary of Land & General Bhd (L&G), Lembah Beringin Sdn Bhd. L&G was badly hit during the Asian financial crisis in 1997/98 while Lembah Beringin has been under receivership since 2005. 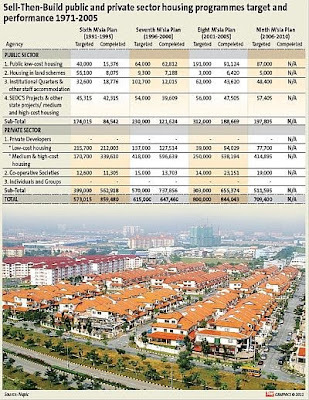 For decades, the sell-then-build (STB) delivery system has managed to deliver homes to meet the housing needs of Malaysia's young and growing population. But along the way, due to unforeseen circumstances, this model of buying houses has met with undesirable outcomes. Projects have been delayed, stalled or worse still, abandoned. National House Buyers Association (HBA) secretary-general Chang Kim Loong feels that the STB system is the crux of the “abandoned project” problem. “Buyers are exposed to the business risks (and are at the) mercy of developers. Why should the buyers share in the developer's business risk through this progressive payment mode?” he asked. that no amount of legislation can guarantee the success of any housing project. “Only the Government can institute a system that to a large extend, insulates house buyers from risks and uncertainties,” he says. Consumers Association of Penang (CAP) president S.M. Mohamed Idris believes that non-enforcement of the Housing Developers Act is the problem .“If projects are detected when they are delayed', or sick', they may not be eventually abandoned'. We have the laws but not the enforcement. “In a 10:90 BTS model, buyers get to see the actual product. A house is the biggest purchase that a buyer will make. 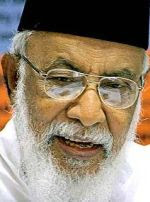 It is not right that he cannot see what he will be committing himself to for the next 30 years.” Mohamed Idris says. 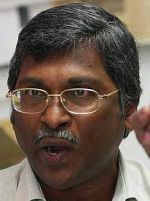 Federation of Malaysian Consumer Associations secretary-general Muhammad Shaani Abdullah says given the failure of respective authorities to improve the current delivery system, it is justifiable to implement the 10:90 build-then-sell (10:90 BTS) system. 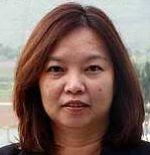 Susan Tan believes both the STB and BTS systems should exist to provide buyers a choice. An absolute BTS system would be too big a paradigm shift for the local players. Six years ago, the House Buyers Association, under the stewardship of Chang, proposed a variant to the STB system, namely the “BTS 10:90” model. Buyers pay a 10% deposit, sign the sales and purchase agreement and pay the rest when the house is completed and occupiable. Chang says the BTS 10:90 concept has become a reality with the amendments to the Housing Development (Control & Licensing) Regulations, 2007 which was implemented on Dec 1, 2007. “The Government proposed to let the two systems (STB and BTS 10:90) run concurrently and was supposed to review the situation after two years from August 2006, which has long lapsed. Nevertheless, it remains an option,” says Chang. Perdana ParkCity Sdn Bhd marketing and sales director Susan Tan believes that both systems should co-exist to provide buyers with a choice. “Generally, property investors will prefer the STB to reduce their commitment and they can quickly flip the property for a gain when it is completed.. Only the seasoned ones with sufficient capital will invest in completed properties and will look at yields instead of capital gains,” she says. Chang believes that the quality of houses will improve with the proposed “BTS 10:90” system as developers will not risk dispute with buyers over quality, come full payment time. Chang says the risk faced by developers that buyers may refuse to complete the sales when property prices have dropped at the time of hand-over is negated by the forfeiture of the initial 10% paid upon the signing of the SPA, as well as other possible specific performance liabilities. 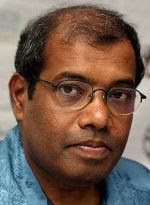 M. Gevanantham says the agony was beyond just ‘financial’. For Christopher John who bought into abandoned Bandar Golden Valley Golf Resort in Jasin, Malacca, the road towards finding a solution seems endless. The RM380mil resort township started out as a joint-venture between Yeng Chong Realty Sdn Bhd and MBSB Development Sdn Bhd, a unit of listed Malaysia Building Society Bhd, which is a subsidiary of the Employees Provident Fund. Construction was to begin in 1999 and the properties handed over to buyers in 2002. That did not happen. Today, the site remains an oil palm estate. In 2009, Christopher and others in the same dilemma met up with the Public Complaints Bureau, Yeng Chong and MBSB for the first time. There are about 200 buyers. There was no solution. “We are thinking about litigation but that is a long, tedious procedure. We want to settle this amicably. We want our money back at market value and with interest, which we believe is fair,” he says. “Over the past few months, we've had two purchasers passing on,” he laments, adding that the BTS delivery system is definitely a better alternative when it comes to buying a house. Singapore's Resorts World Sentosa expects to attract as many if not more visitors as in 2010 as it adds more attractions. Last year, the integrated resort operator - which opened Singapore's first casino and Southeast Asia's first Universal Studios a year ago, received 15 million visitors. "We hit 15 million in the first year of operation ... we expect to hit the same number or more as new developments are coming up," Robin Goh, assistant director of communications, said. This dispels some views that the resort may attract fewer people once the novelty of the product diminishes. According to Goh, of the 15 million, 60 per cent were foreigners and 40 per cent locals. Each of them spent an average of S$85 (S$1 = RM203) per person. Singapore itself received 11.6 million tourists in 2010 and has a target of achieving 17 million tourists by 2015. Goh said that Resorts World Sentosa's next opening before June 2011 will be the Maritime Xperimental Museum, which takes one through the maritime Silk Route based on Admiral Zheng He journey in 4D. Following that, in early 2012, Resorts World Sentosa will add Marine Life Park, which is touted as the largest oceanarium in terms of species and gallons of water. The resort will go on to open its fifth and sixth hotel, Equarius and the Spa Villas, that will bring the total number of rooms on the 49ha resort to 1,800. The existing four hotels enjoy close to 80 per cent occupancy and an average room rate of S$294 (RM703) per night. Meanwhile, Goh said the group was pleasantly surprised by the response to its Resorts World Convention Centre (RWCC). RWCC, the region's largest column free ballroom, which can accommodate 6,500 people, managed to hold over 1,500 events hosting over 415,000 guests last year. This year, it has received forward bookings for over 500 events until year-end. Resorts World Sentosa is wholly-owned by Genting Singapore plc. Genting Bhd holds some 51 per cent in Genting Singapore. In the financial year ended December 31 2010, Genting Singapore made S$2.7 billion (RM8.45 billion) in revenue and an earnings before interest tax and amortisation of S$1.3 billion (RM3.1 billion) . Genting Singapore's integrated resort is a S$6.6 billion (RM15.8 billion) development with the Universal Studios portion of the bill at US$1 billion (RM3.04 billion). It is not easy to fathom what affected buyers of stalled or abandoned housing projects are going through but for many who have put down their life savings for their dream homes, they must have been badly traumatised. If the project failed to be revived or rescued, they would lose their deposit along with their dream of ever owning a home. 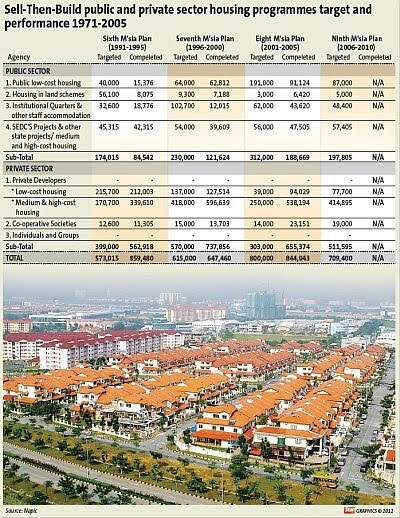 Most victims are average Malaysians trying to make ends meet and have saved every sen for the first 10% in downpayment for their own roof over their head. Buying a house is a big-ticket item and the loan to finance the property will take many years to be repaid. It is time the whole process of owning a house becomes a pleasant experience for house buyers and their families. To ensure that happens, all stakeholders need to work towards a fool-proof housing delivery system that protects house buyers from stalled and abandoned projects. There are weaknesses in the current housing delivery system that need to be addressed. As far as legislations are concerned, the Housing and Local Government Ministry is working towards further tightening some “loose ends” in the Housing Development (Control and Licensing) Act. One of the important changes underway is that the deposit required to obtain a developer's licence will be raised from the current RM200,000. The quantum will depend on the project cost. This will hopefully, weed out wayward individuals from jumping into the bandwagon of property development and ensure only genuine developers with sufficient capital outlay and reputation will remain in the business. Another important step to safeguard buyers' interest is the need to tweak the schedule of payment in the sales and purchase agreement so that the percentage of progressive payment due to developers will be lower in the initial stages and higher as the project nears completion. At present, prior to handover time, buyers would have paid up to 95% of the property's price and this gave them little or no bargaining power when there are unfulfilled terms as stipulated in the S&P. The strict enforcement of the law to bring to book developers who flout the law will ensure those who are serious in discharging their duties will thrive and further lift the property landscape. Developers need to walk the journey with their buyers right to the last mile and deliver their projects in good order and on time. First and foremost, they should have done all the basic groundwork of having sufficient capital outlay, a good team with the necessary technical capability, proper project planning and concept, and of course, the right location for the project. Even in the face of difficulties, developers should not shirk their responsibilities and work towards fulfilling all the terms in the S&P contract. Instead of absconding and not facing up to reality when their projects are faced with problems, they should seek help and be around to ensure things are in order when rescue work gets underway. Meanwhile developers who have the expertise and know-how should step forward to lend their support as white knights to rescue stalled and abandoned projects. Such rescue work calls for unique expertise and it will be good if a special consortium comprising the various stakeholders in the industry can be set up to rescue troubled projects. In fact, most projects would have gone through the due diligence and feasibility studies and certified as financially viable before they can get bridging loans. But sometimes, the unforeseen happens and most of the time, they are led by bad economic times like a recession or financial crisis. While legislation can only do so much, the onus also lies with prospective buyers to equip themselves with the necessary information on property matters to make informed decisions. Deputy news editor Angie Ng hopes to see greater responsibility from all stakeholders in the property market to ensure sustainability. The last couple of years, British house builders and developers have been making regular visits to Malaysia to promote and sell their properties. Some of them sold off plan, others offered completed projects. Sales and marketing director Paul Bennett of St James Urban Living says England and Wales has three models when selling residentials. The Scottish system is totally different and not covered here. St James Urban Living is part of The Berkeley Group Holdings plc, one of Britain’s largest house builders and in the FTSE 250 top UK companies by market value. It has various brands Berkeley Homes, St George and St Edward and has been marketing properties in Asia for over a decade. When buying “off plan” you pay a Reservation Fee (normally £500-£2,000) to secure your property. At this point, you will be given a date when the developer expects the property to be completed. You have the opportunity to choose your kitchen design, bathroom tiling, accessories and finishes. You appoint a solicitor to work on your sales contract. Once the contract is agreed between your solicitor and the developer you can exchange contracts with a 10% deposit payable by the purchaser on exchange of contracts (normally three-four weeks after you reserve) with the remaining 90% being paid in one payment when the property is completed and ready for occupation. Buying off plan allows you to take advantage of market growth during the construction process. The process is the same as above: you pay a reservation fee; 10% when you exchange contracts; the remainder to complete the sale and you will then be handed the keys to your new property. The main difference being you do not get the early choice of the prime plots and you have to accept the builders pre-selected kitchen and bathroom selections. In England and Wales, solicitors have special, secure client accounts specifically for holding funds from mortgage lenders or individuals between exchange and completion. The solicitor transfers the funds to the developer’s bank account.